As a warmup to Saturday's big game, we decided to have a 2 on 2 game, with 1,000 points each. A local friend, John, jumped at the chance to play. John used to play, but didn't know anyone else who did when he moved, so when he's free to play, he borrows my Orks as his preferred army. We made the decision to have the bugs take on allied Orks and Space Marines. It's finally here. It's been a long time coming, and yet, this week has flown by. I didn't nearly get as much as I would have liked accomplished. 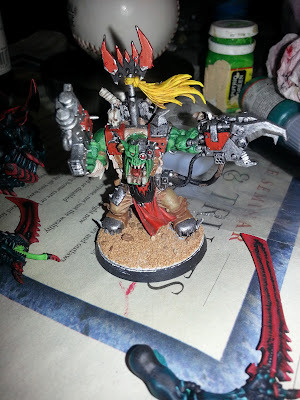 I didn't finish my terrain projects, I didn't even finish basing my Ork Warboss who has been begging for the final, finishing touches to join the ranks of the completed for over a month. Even so, without completing every goal (or just about any of them if I'm being honest), I am excited for this weekend. I am fortunate to have a chance to reconnect with college friends over a game from my childhood. I'm also blessed to have a wife indulgent enough to allow three grown men to have a giant slumber party in her house without complain. The runes have been read, and the signs of nature have been interpreted, and it doesn't look good. 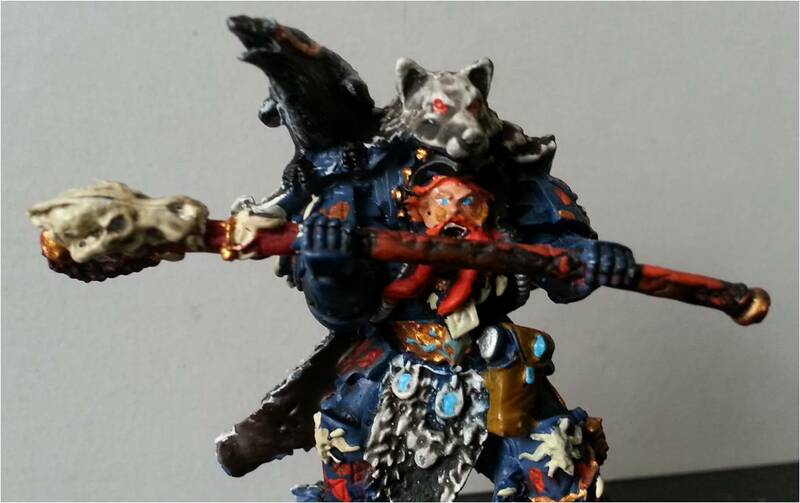 With a Hive Fleet only two days out, The Great Wolf has called upon the Stormcaller to lead his second force against the Tyranid horde. Njal has a few tricks up his sleeve and is bringing a force that includes some Iron Hand brethren that were training in a nearby sector. It appears that there will be a few Pyskers on the battle field, some of the Old Wolf's Long Fangs, and the Space Wolf Stormtalon made by the Iron Hands to repay an ancient debt. Only 3 days until the Vlka Fenryka have an epic showdown against the mighty Tyranids. The might of Fenris is mobilizing under the watchful eye of their leader, the Great Wolf, Logan Grimnar. With Evan and our other friend bringing a combined force of Tyranids tallying 4000 points, I have been put in charge of getting 4000 points of Space Wolves ready for the fight. With our last post, we got all of the materials needed for creating a LED circuit. The next step is learning how to create a working circuit to get your desired effect and bring your model to the next level. So just like the rest of Warhammer 40K, let’s get into some MATH. These calculations are important because one number, one miscalculation, or one little error can cause issues that are going to drain batteries, drain resources, and waste money. 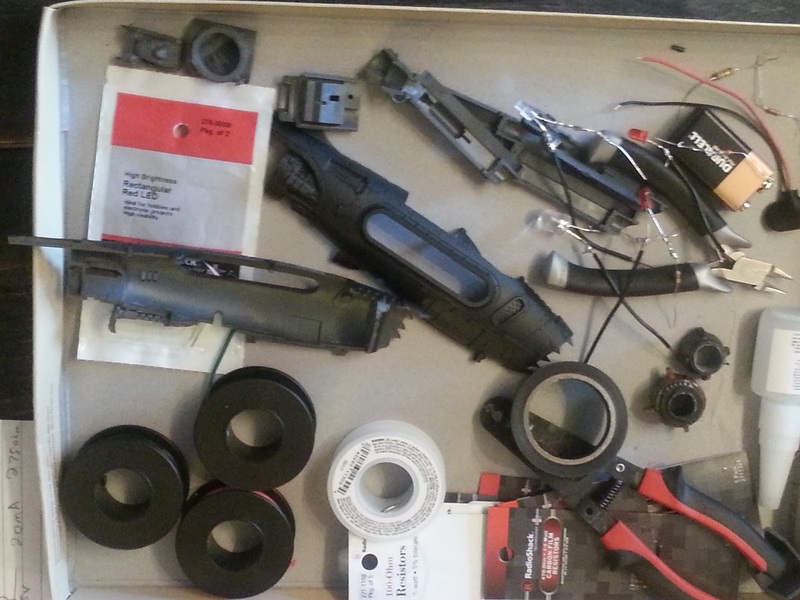 Trust me; I have blown plenty of LEDs, drained batteries, and wasted solder and wires unnecessarily. Hopefully, my mistakes will help you avoid making the same mistakes. Remember, with miniatures, mistakes generally lead to more money being spent. We're in the home stretch and I honestly haven't gotten as much done as I would have liked. I should get a little more hobby time this week than last, but still not much. We'll be getting started on Friday evening, and I have conflicting events Tuesday and Thursday. This gives me two nights to get as much done as possible. This little battle was a quick game between myself and +Chandler D where we both decided to take a concept in our army to the extreme at 1,000 points. 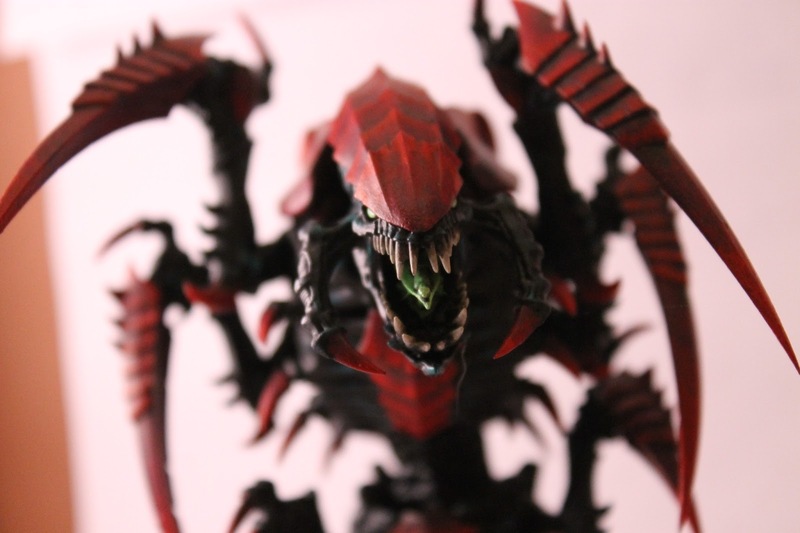 For the Tyranids, I tried to jam as many Monstrous Creatures in 1,000 points as I could. Meanwhile, Chandler decided to go for a similarly small model count force with his Loganwing. 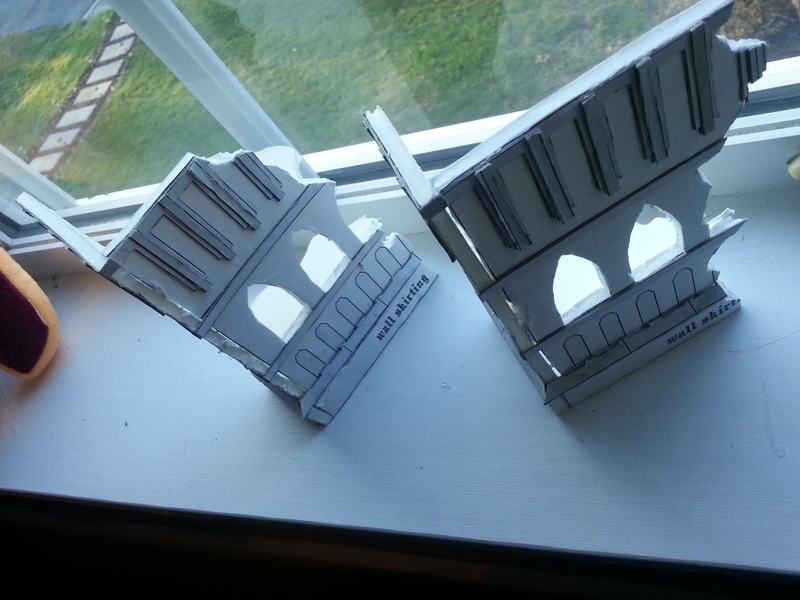 For those interested in lighting up a model for the first time, there are a few things to keep in mind; first, when selecting a model, bigger is better and the larger the model, the easier it will be for the LED, wires, switches, and battery. 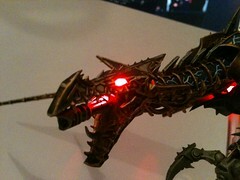 Now with that said, the first model I chose to light up was a Dreadnought for my Space Wolf army. 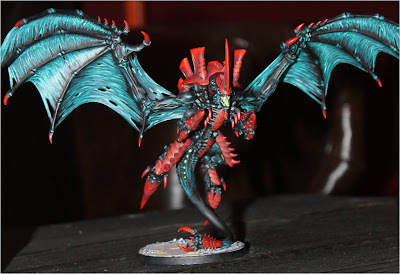 In updating my Hive Fleet, I was told in no uncertain terms that a Flyrant was just about a must have. Considering how good the kit looked, I didn't put up too much of an argument against the idea of buying two sets. I assembled the first one with magnetized arms and wings as a flyrant, and am pretty happy with the result, although the magnets are just strong enough to hold the wings, even with some pinning help, but more on that after the jump. 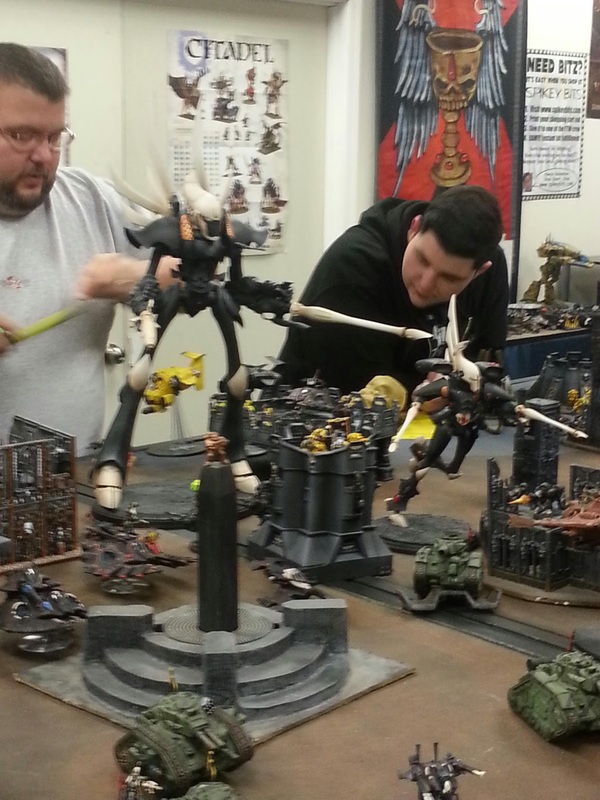 A few months ago, I discovered that a friend of mine from college plays 40k when I stumbled on a review he wrote for a gaming store 200 miles from my house. We had honestly not been in touch much since college but, when I dropped him a line to tell him I would be swinging by the shop on my way through his area, we quickly arranged to meet at the shop and catch up. I would like to take the chance to introduce myself. My name is Chandler and I will be a regular poster here on FTGT from the laboratories of Wolf Works (I will explain this later). I am the friend that got Evan back into the realm of Warhammer 40k. 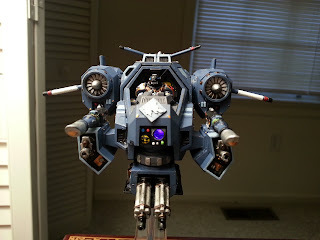 I am the resident Space Wolf player. I love the fluff, iconography, and the models that they have for their army. When I was getting into 40k, I did a lot of research into the different armies. This research was filtered around two things; which back-story I would like for my army and which army I would identify with as I progress from a few members into a true army. 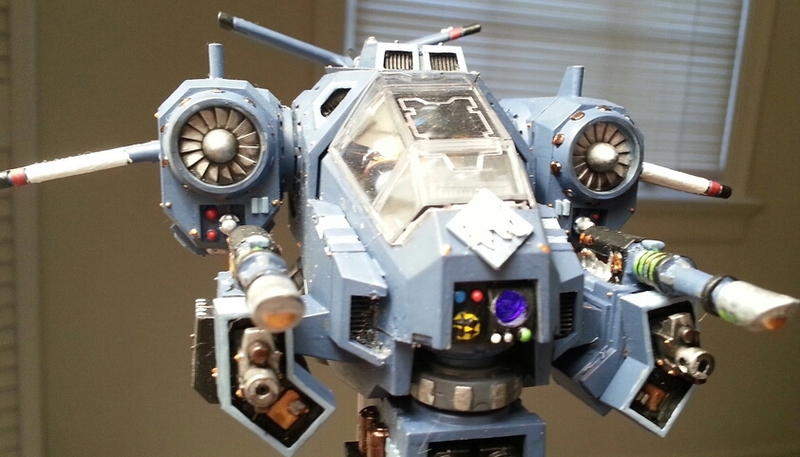 I will say for anyone that is starting into the hobby, don't take a blind jump into an army and sink hundreds of dollars into the hobby; do the research, look at the models and fluff, and find the army that suits you because it will add that little extra that will keep you going when losing streaks pile up. 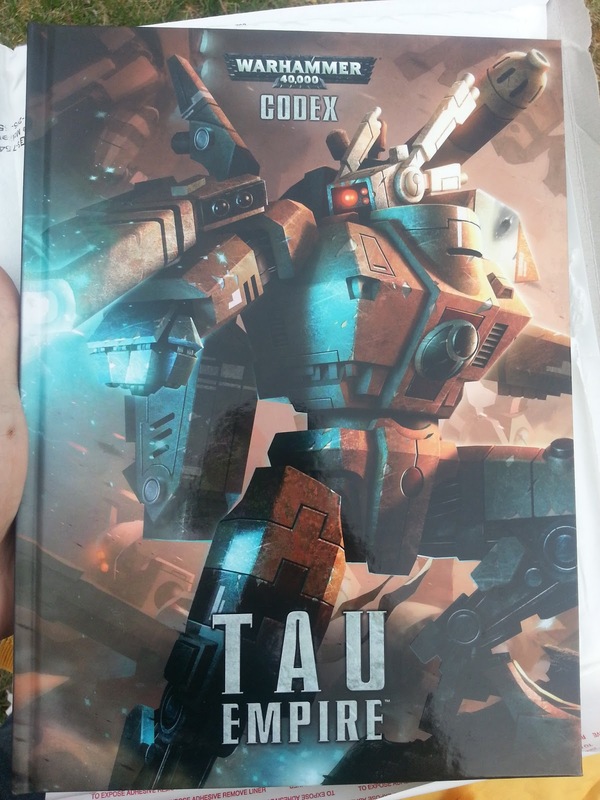 I know I'm a little late to the party here, but I finally got my copy of the Tau codex last night, so I thought I'd post up some brief thoughts and impressions. To begin, this is actually the first 6th Edition Codex I've picked up, or even really looked at. While initially I was annoyed with the idea of hard-cover codices as a simple price inflation technique, I can't deny that the book itself is nice, and feels to be of higher quality than your typical soft cover codex. That said, it is a gaming book that's going to get punished to some degree or another. Having it be hardcover should make it more resilient, but also will at least make me more guilty when I drop it and bend a corner. To expand upon my intro post, I chose the name of the blog based on the problem I face that I believe is common to many wargamers in that I buy well beyond my ability to paint. While it had even been the case while growing up and having a severely limited budget, when I got back into the hobby last year with a much larger budget, it definitely got worse, particularly as I tried to update my armies for the new edition and codices. As a way of motivating myself and holding myself accountable, I plan on doing a regular post on what I have in my lineup to paint and what I've completed since the previous post, as well as calling myself out on new purchases. I hope anyone reading these posts who feels like participating does so and tracks their own painting in the comments. I'd love to be able to do spotlights on other people's painting as well. To continue from the previous bat rep (here) which was game 1 of a tournament, game 2 I was pitted against a small Chaos army. The mission was once again Emperor's Will (2 objectives), with board edge deployment (technically it was Hammer and Anvil, but we were on 4'x4' boards). 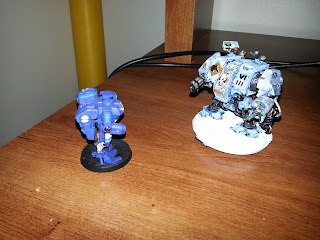 One of the first things I noticed when I came back to the hobby was that there were now some very big models. 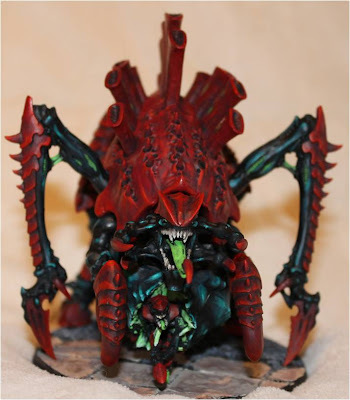 The last time I had looked at the model ranges for 40k, the biggest things around after Monoliths were Greater Daemons and maybe the 3rd edition Carnifex. 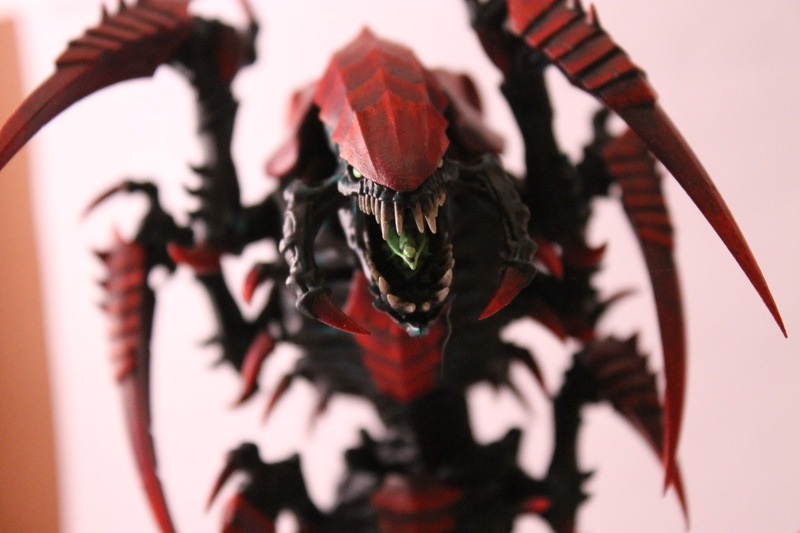 For the 'nids, I was instantly enamored by the Trygon kit - let's be honest, that kit is just plain cool. I was less enthused by the other big kit, the Tervigon/Tyrannofex, but I was assured repeatedly that in order to update my army, I needed one or more. Last month, I played in my local store's 1k tournament. 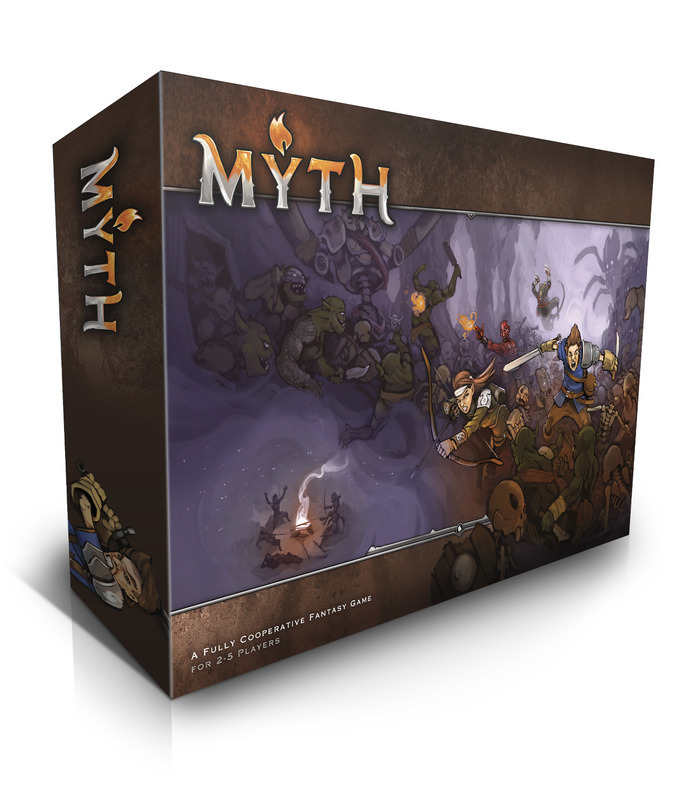 The games use Book missions and deployments, with 1 hour of play time plus 15 minutes for set up. I am using VASSAL to map the battle, but this was one of my first times using it, so I apologize for any oddities, like the green quadrant deployment zone. In the first game, I was matched up against one of two other Tyranid players (out of 10 players total). As I mentioned before, Tyranids were my first army, which is using the term loosely, as I began collecting and painting as a preteen during 2nd edition. Once 3rd Edition rolled around I had at least one of nearly every 2nd edition model, and a few genestealer cult models I found in dusty hobby shops. 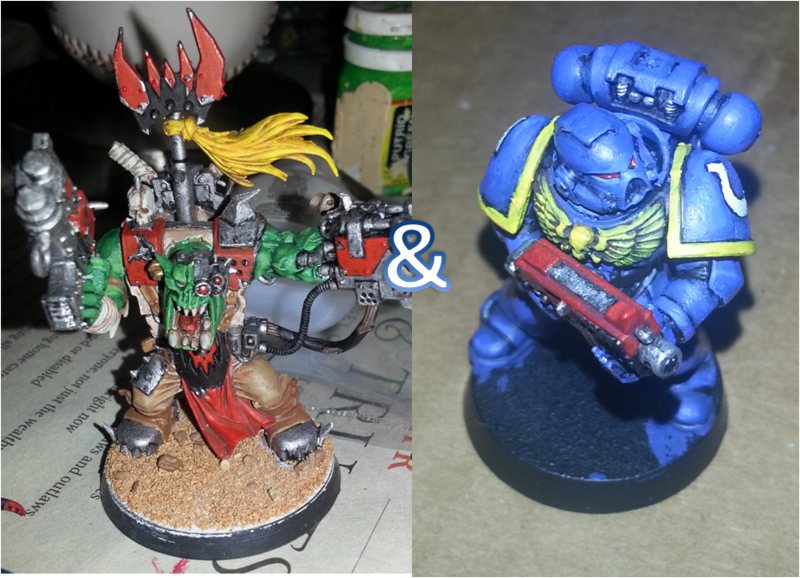 Here's a look at some of my 2nd ed models and my by-the-book (or as close as I could get) scheme. At the time, the 'Eavy Metal team didn't even paint armies with singular paint schemes, so I definitely didn't either. 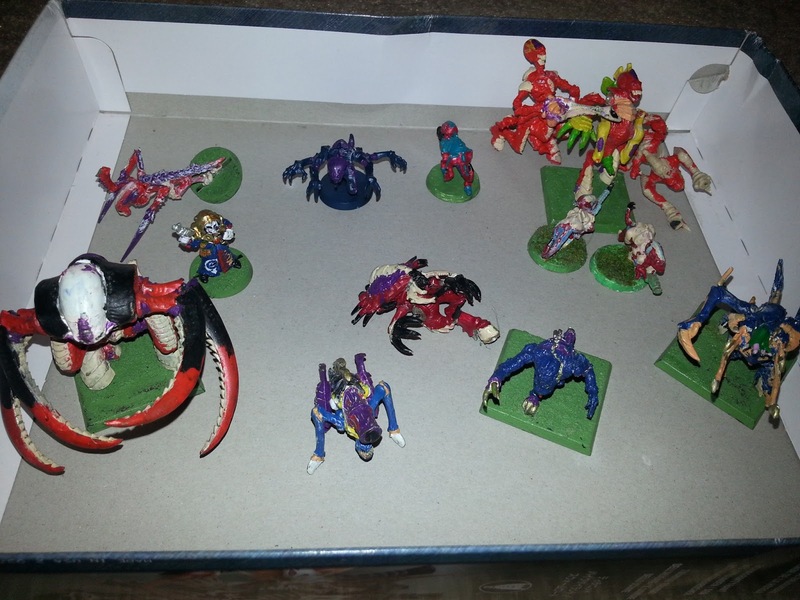 My name is Evan and I'm a warhammer-holic, a miniature hoarder, a collector and gamer. I first got into Warhammer, primarily 40k when I was around 11 during 2nd Ed, where I started out with the Tyranids. 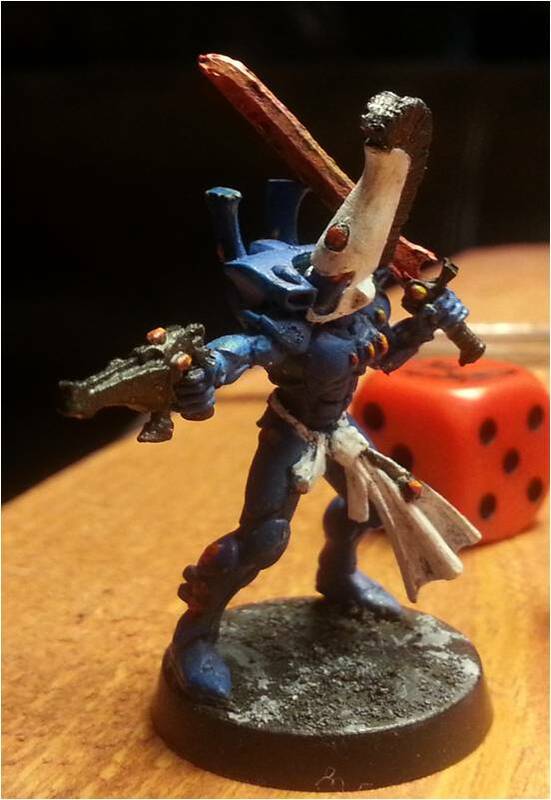 When 3rd edition came out, I switched over to the cool new Dark Eldar (temporarily anyway). About the same time, I expanded further into fantasy. I played with a close friend and at my local Games Workshop all through high school, and even worked for GW one summer after I graduated. I brought a good bit of my minis and paints to college with me, but between lack of space in the dorms and all the other things to take my attention, I only broke out the minis once or twice the whole year. 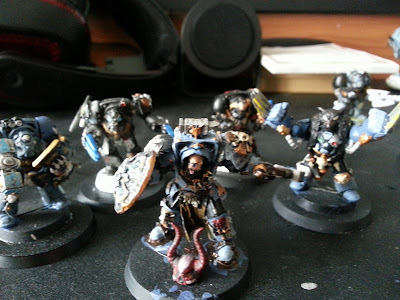 As a result, I left them at home the following year and slowly drifted away from the hobby, occasionally picking up something to paint when I went home. 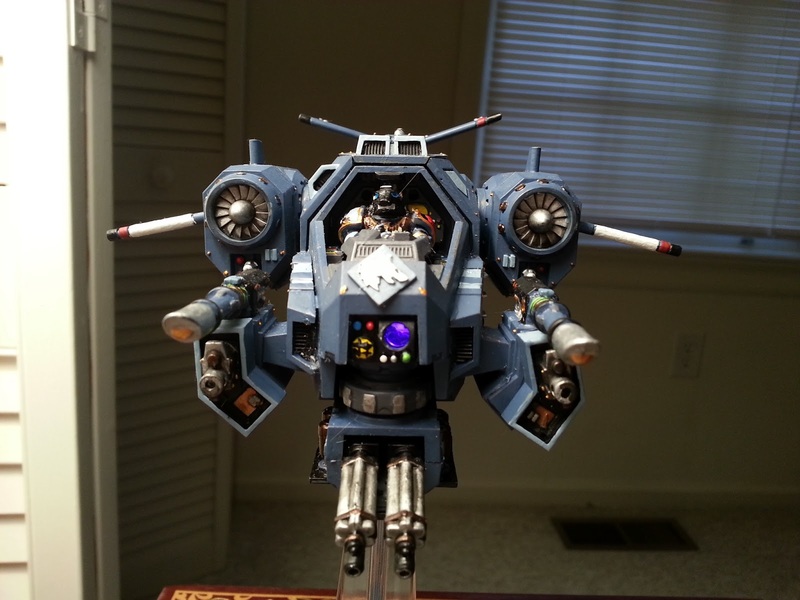 Last Summer, 2012, a college buddy of mine was moving into town and mentioned that he had been getting into 40k. It didn't take much of a push for me to fall off the wagon and dive back into the hobby, particularly with me having, for the first time in my life, some disposable income.